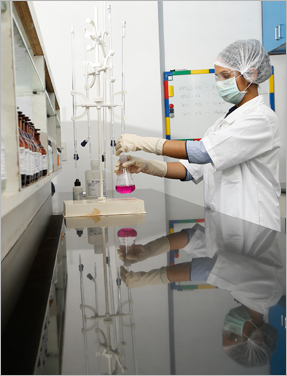 The quality policy of Nivedita Chemicals aims at the continuous enhancement of our products, processes, and services - at par with global standards in the healthcare industry. It is completely in alignment with our prime objective - to provide quality products at competitive prices for optimum business growth and customer satisfaction. We have a robust Quality Management Sysytem (QMS) in place. It would not be inappropriate to say that we are obsessed with quality and believe in zero defects across all functions of our organization!